As the largest cave in the world, Hang Son Doong is full of prime photo opportunities. The trek to get there is worth it, as the cave will blow you away with its various caverns, cloud, rivers, and waterfalls (yes you read that right – it has its own clouds!). It’s truly unlike anywhere else in the world, and the photos speak for themselves. 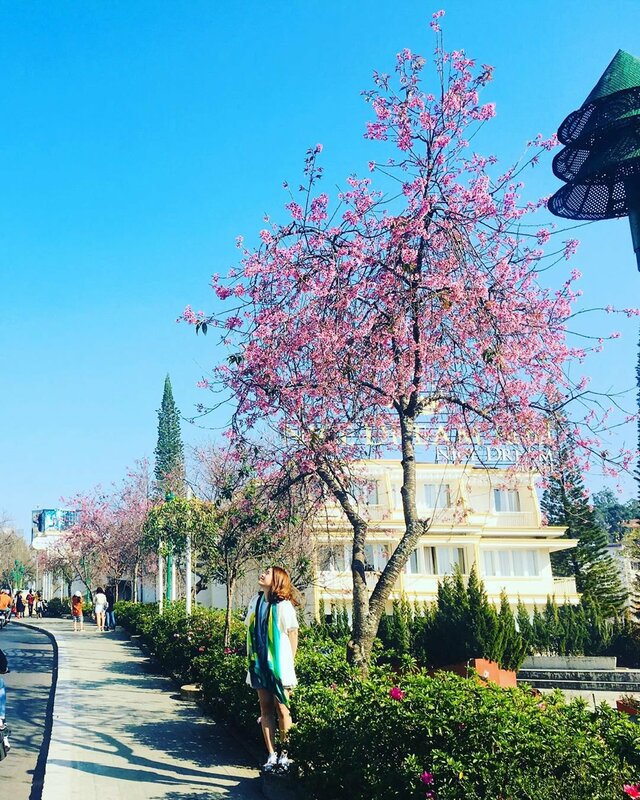 Also known as the “City of Eternal Spring”, Da Lat is a gorgeous colonial town in southern Vietnam. Surrounded by valleys, springs, waterfalls, forest, and more, you get the best of both worlds. Go for a hike and see some stunning waterfalls, then treat yourself to a lunch at a photogenic café next to a gorgeous temple. What’s there not to love? The best views often require a little effort, and Lying Dragon Mountain is no exception. 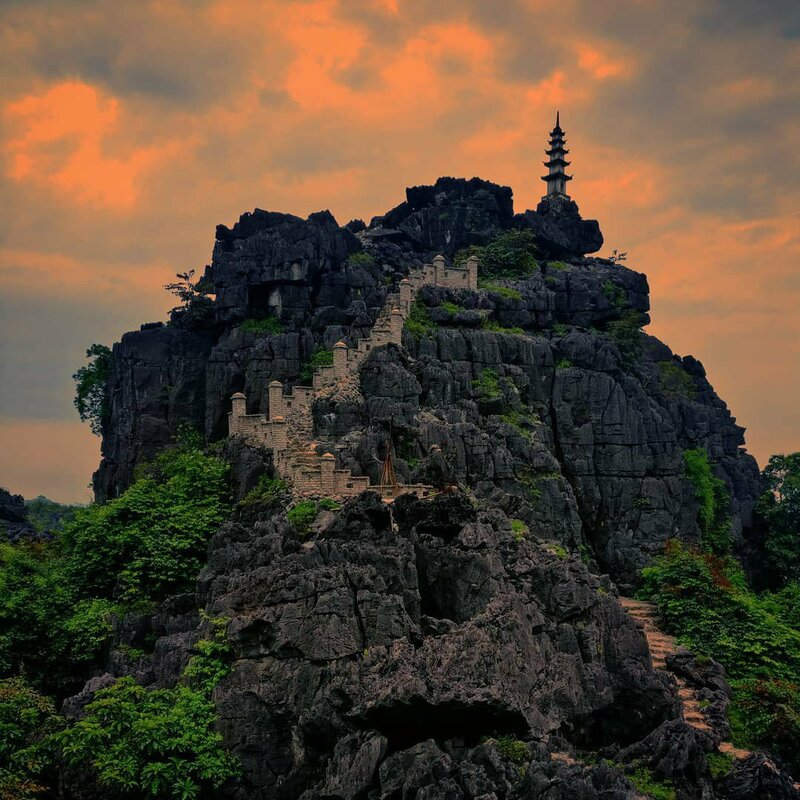 You'll head here on our group tours, climbing 450 steep and sometimes uneven steps, but the panoramic views of the winding river and striking limestone cliffs from the top are worth it. Just be sure to wear comfortable shoes! Sa Pa is home to some of Vietnam’s best scenery. The lush town in northwest Vietnam is situated atop a dramatic valley surrounded by dramatic green mountains. You can take in the views from the top or hike deep into the cascading rice terraces to truly appreciate the beauty that Sa Pa has to offer. 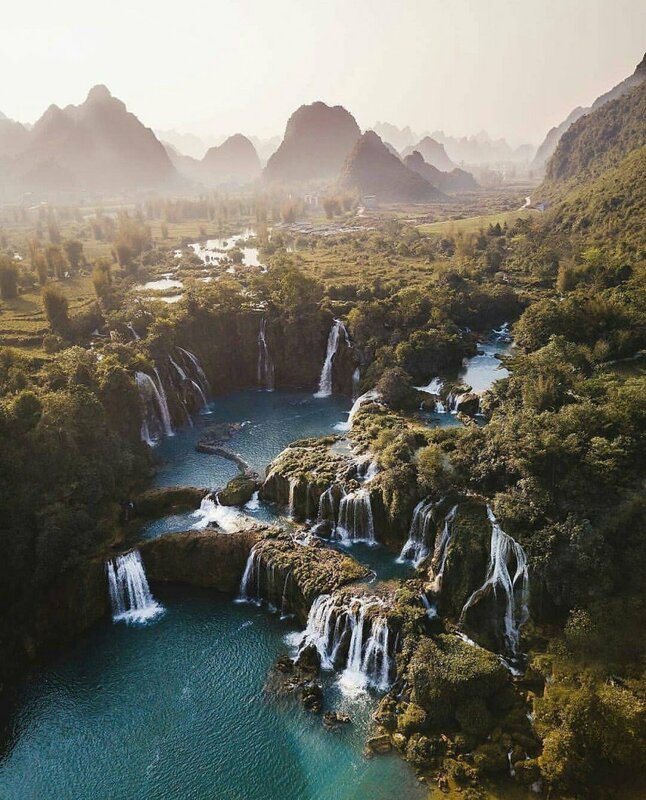 Located along the northern Vietnamese border, these stunning waterfalls actually belong to both Vietnam and China. Whether you decide to take a trip on a bamboo raft right up to the falls or go swimming in the large natural pool on the Vietnamese side, you can’t go wrong. 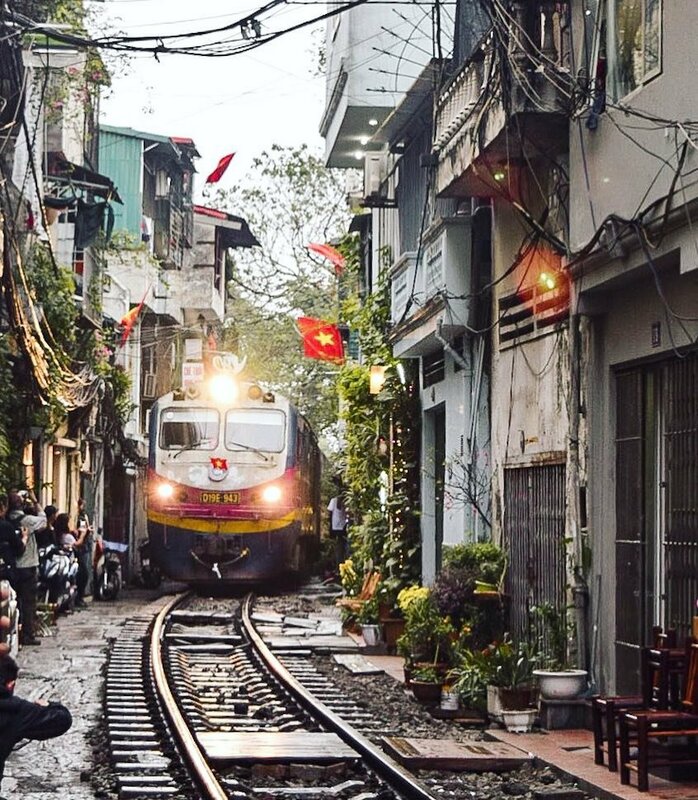 Located in Hanoi’s old quarter, there is a narrow residential street that a train rushes through twice a day. Regardless of whether you go when the train is coming (3:30 and 7:30 pm every day) or not, it’s a unique experience that’s truly a sight to behold. 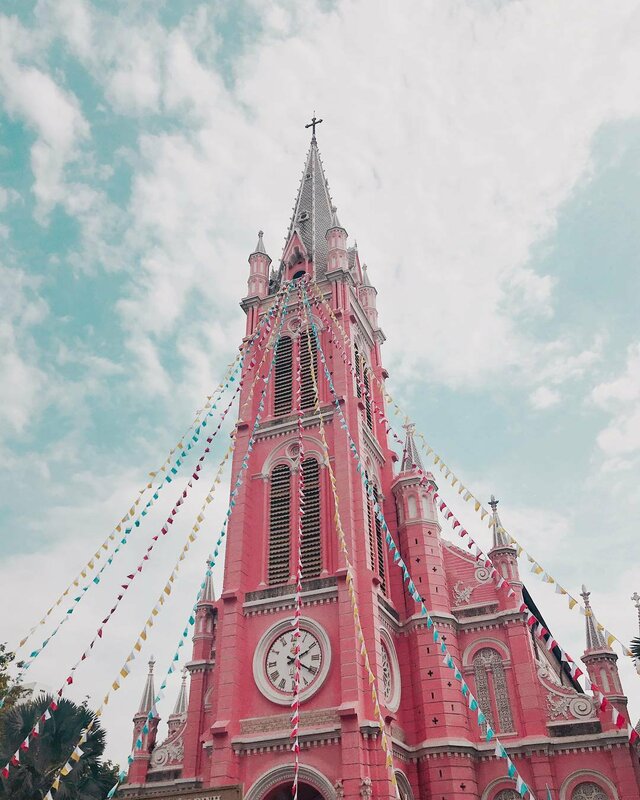 Also known as the “Pink Church” for obvious reasons, this unique building in Ho Chi Minh City looks like a castle straight out of a fairytale. Its unique hue has increased its popularity in recent years, with tons of tourists flocking to take pictures with its bubblegum pink walls in the background. Just can ignore them and keep pretending like it’s the private castle of your childhood dreams. If you’re lucky enough to be in Vietnam during a full moon, the Hoi An Lantern Festival is absolutely spectacular. At night, the entire city is lit up with lanterns and candles alike, and you can even watch monks release traditional lanterns into the sky. 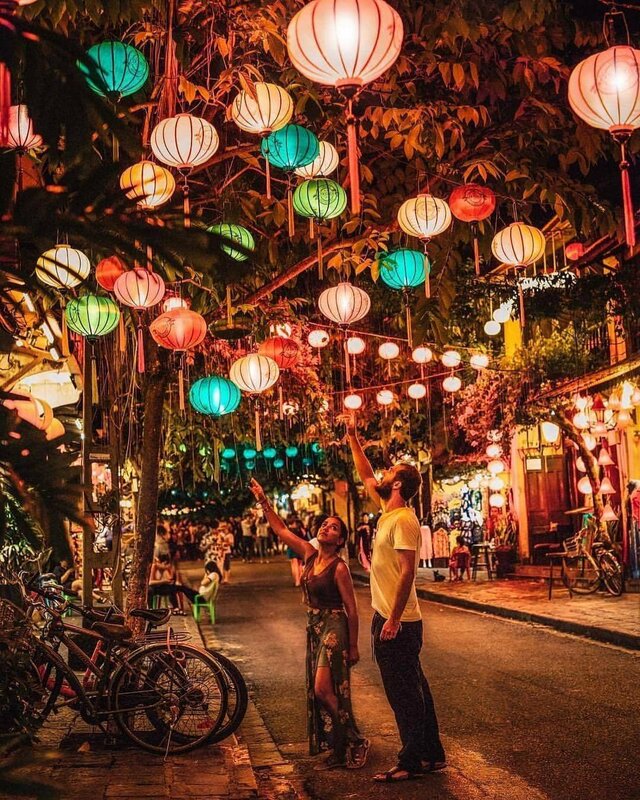 If you’re not in Hoi An during the festival, fear not as lanterns line the streets at night all month long. If you can’t make it to Sa Pa or you’re just trying to get in as many gorgeous green mountains and endless rice paddies as possible, Mu Cang Chai is the perfect spot. 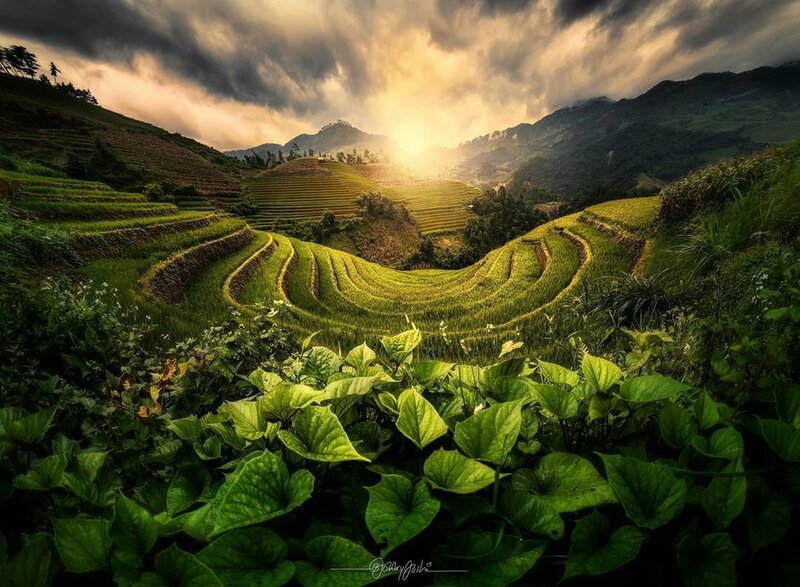 Located in northwest Vietnam, the region is famous for its colourful sunrises and the yellow colour of the rice plants during harvest season. Whether you photograph it green, yellow, or any colour in between, you can’t go wrong! 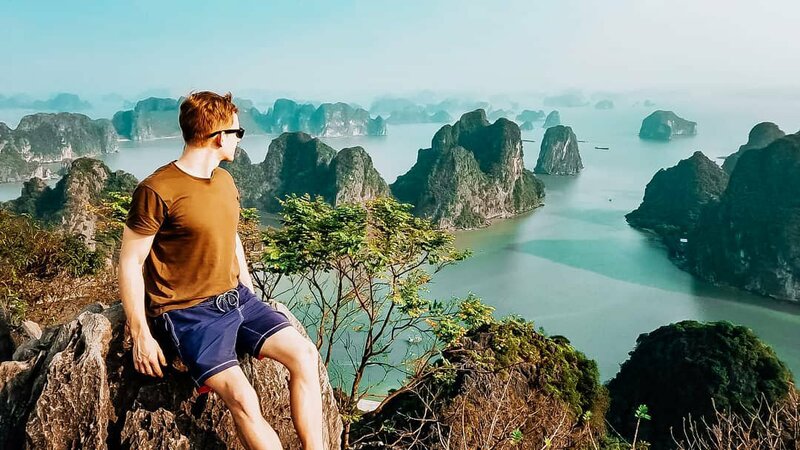 Ha Long Bay didn’t become one of the most, if not the most, iconic landscapes in Vietnam by accident. The turquoise waters surrounded by thousands of stunning limestone islands and lush green rainforests mean impeccable photo opportunities around every corner. Whether you’re hiking up in the mountains, diving with the fish, or simply relaxing on a beach, the views are impossible to beat. Keen for an adventure of your own? 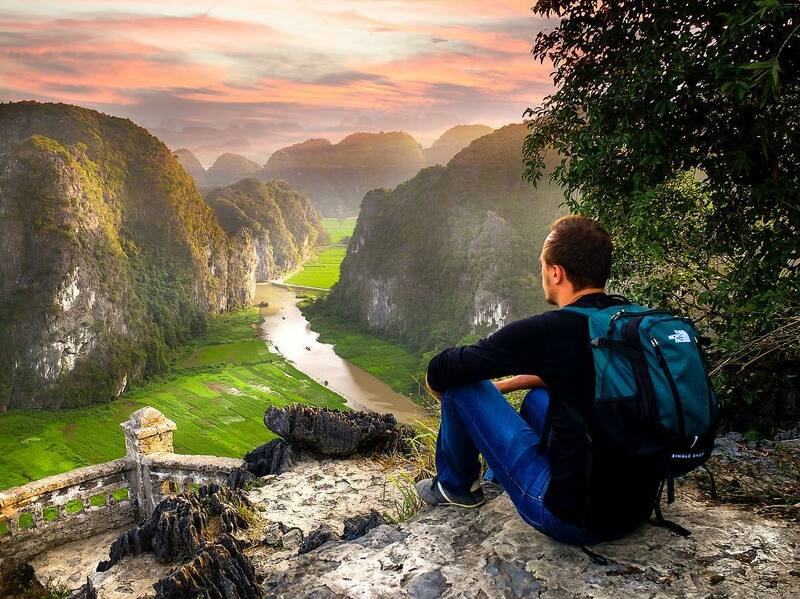 Check out our Vietnam trips here!